The monarch butterfly, scientific name Danaus plexippus, is a milkweed butterfly. These beautiful butterflies are easily recognized by their black, orange, and white patterns on their wings. These butterflies are native to North America and then fly south to Mexico during the colder months; they fly over 3,000 miles across the country. Monarch butterflies are being considered for the Endangered Species List because the population of the species has declined 90 percent over the last 20 years, from about 1 billion to 35 million butterflies. 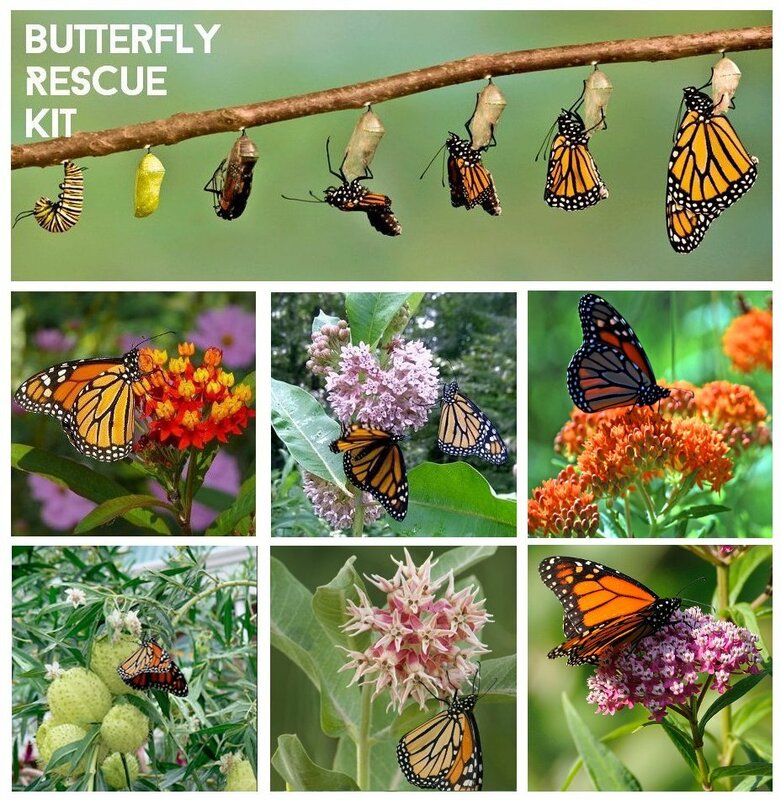 Bringing back milkweed will bring back the monarchs and many other butterflies. Comes in a sturdy Bio-degradable Kraft Gift Box with decorative belly band. Asclepias seed count is 25 - 30 per pack depending on variety.